This essential resource is the only guide you'll ever need to printing with Photoshop. 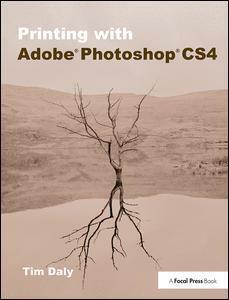 Acclaimed author and photographer Tim Daly brings a wealth of experience to this under-resourced topic, covering every aspect of the printing process using Photoshop. Not content with simply covering the software, Tim approaches the entire workflow. This means that right from the moment of capture, your photos are optimised for the highest print quality from Photoshop. Topics covered include image capture and management, file processing, creative emphasis, proofing, Photoshop print functions, color management (both input and output), printer hardware and software, and, of course, the actual printing. Buy this book, and see an immediate difference to the quality of your prints. Authoritative, practical and comprehensive, this is a must-have for every photographer using Photoshop.